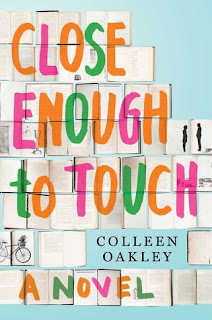 I didn't know what to expect from Close Enough to Touch, but I can tell you I will be recommending this book for years to come! It had such an interesting story line and was very different from other books I've read recently. The characters were fantastic and I instantly fell in love with Eric, Jubilee, and Aja. I found myself wanting to know more about them and truly caring about what happened to them. Oakley touched on many interesting topics throughout the story such as children with special needs, bullying, and severe allergies. Each topic was handled with care and I felt that she did an excellent job bringing awareness to each topic. I also loved all of the book references throughout the novel. My bookworm/nerdy self loved reading about other books inside of a book. It was great! 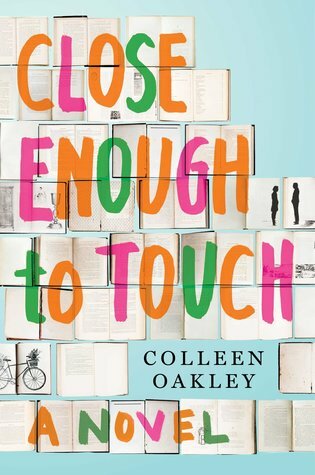 I thoroughly enjoyed Close Enough to Touch from start to finish. I laughed, cried, and flipped page after page until I finished the book in its entirety. I wish the ending would have been a little bit longer and more detailed, but that is the only complaint I had about the whole novel. I would highly recommend this book to lovers of romantic comedies! Pick it up today and read for yourselves. I hope you enjoy it as much as I did!